My friend Missy from Dirt Road Teacher is hosting a fun linky series for new teachers! Each week a new topic will be covered. This week's topics is classroom decor. 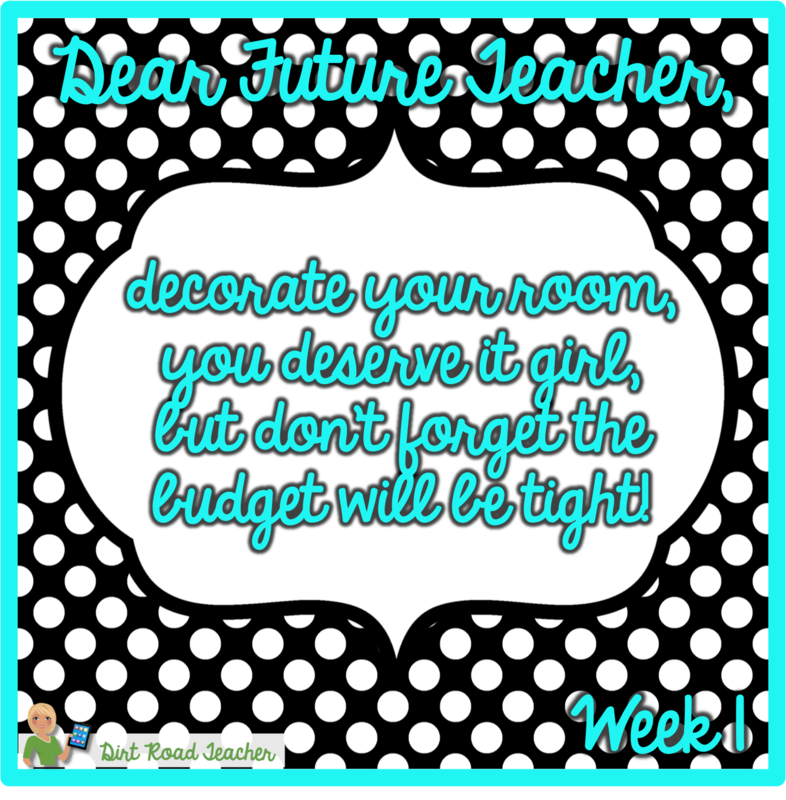 I'm joining in on the fun and sharing a few ideas I have about classroom decor on a budget. I think it's really important to have a decor theme. My first few years of teaching I chose a Suzy's Zoo theme in my classroom. I loved the bright primary colors! I switched to Mary Engelbreit and had that decor for years! A few years ago I changed my decor to bright pink, green, orange, and teal. I'm not one to change my decor every year. I invested in baskets and bins that match, so I wanted to be able to use this color scheme for a few years. 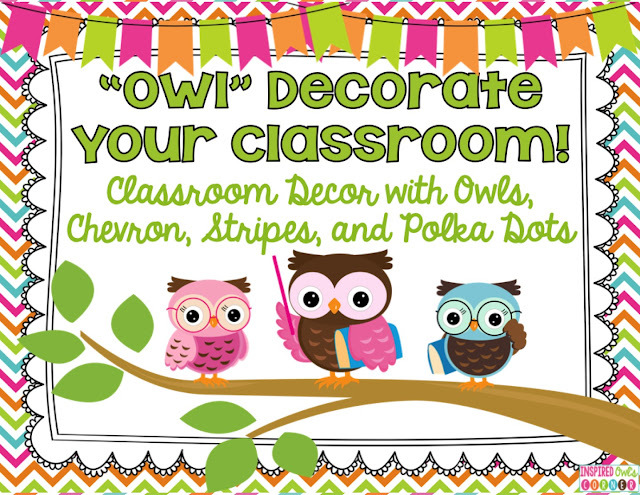 I love owls, so I have a ton of them around my classroom. What are your favorite colors? Primary? Aqua, lime and gray? Once you choose your colors, it makes it so much easier to decorate! OK, maybe don't steal, but you can scout out garage sales and that's about the same thing! There are so many treasures for teachers at garage sales! 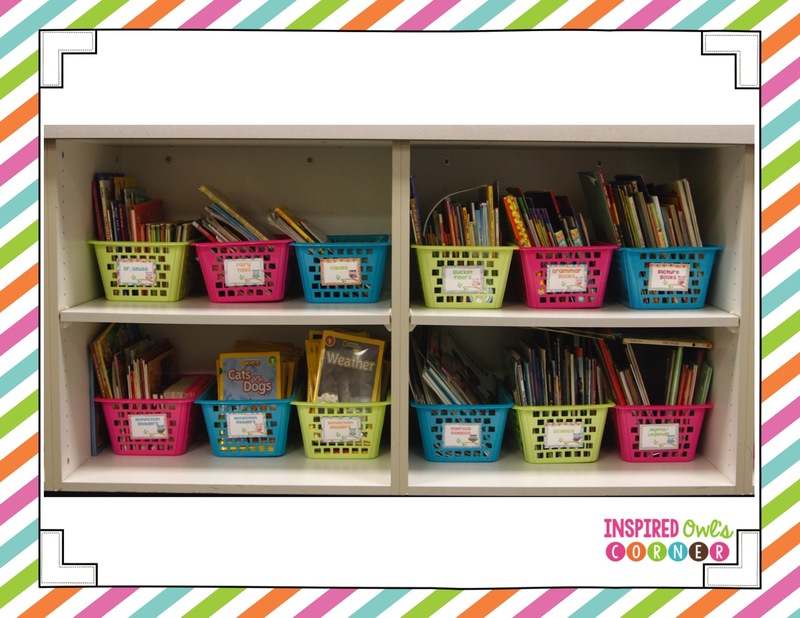 Ask family and friends for things they no longer need like baskets, bookshelves, and anything else you might be in need of before you go out and buy things for your classroom. Grab a few cans of spray pain in your color scheme and you can bring new life to an old bookshelf. Save your receipts! You can write off part of your classroom expenses. Does your school or PTA reimburse you for your expenses? 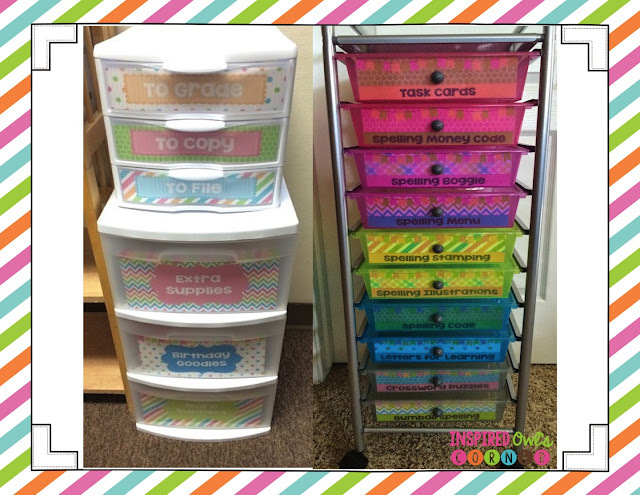 My school's Parent Club gives us $150 to spend on our classrooms, and that is how I bought my classroom storage and supplies. That helped so much with the expense! I really wanted the Sterilite containers and Big Lots rolling cart below. I waited until they went on sale before I purchased them. 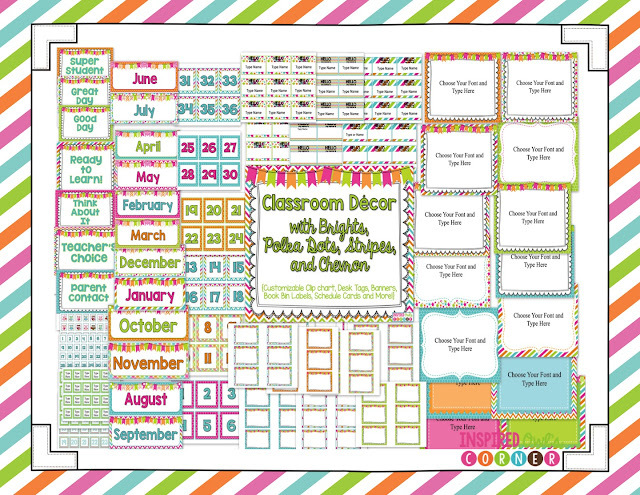 Michaels, Jo-ann, and Hobby Lobby all have money saving coupons, and Michaels and Jo-ann have teacher discount cards as well. 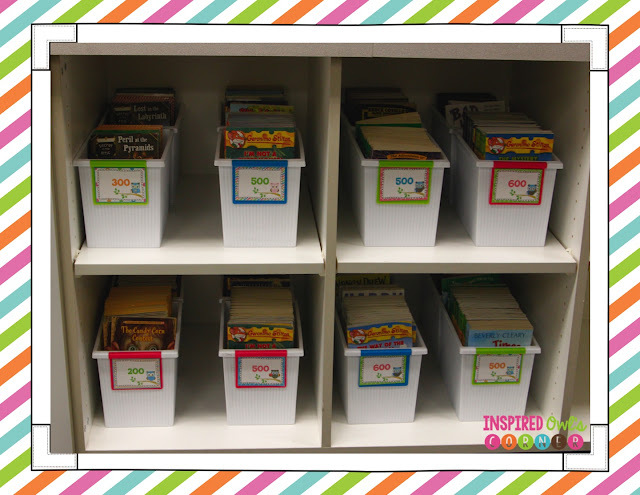 That can save you money on fabric for your bulletin boards, containers for your storage, and anything else you might need for your classroom. Last year I bought the bins above on sale at Target and Wal-Mart. They were a small investment, but I will have them forever! I also bought the containers in the next two pictures at Big Lots last year. The Dollar Tree has similar baskets and are even cheaper. Matching baskets adds to the decor of your classroom, and you can keep them forever. You can even spray paint them if you are looking for a certain color or add labels to them. I've decorated my classroom with my decor packs below. I use the pack with the owls, but I have an identical pack without the owls below that one. 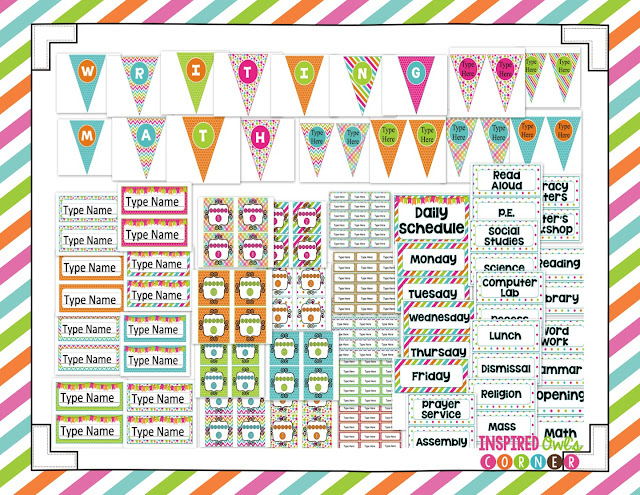 These packs have pre-made and customizable pages. 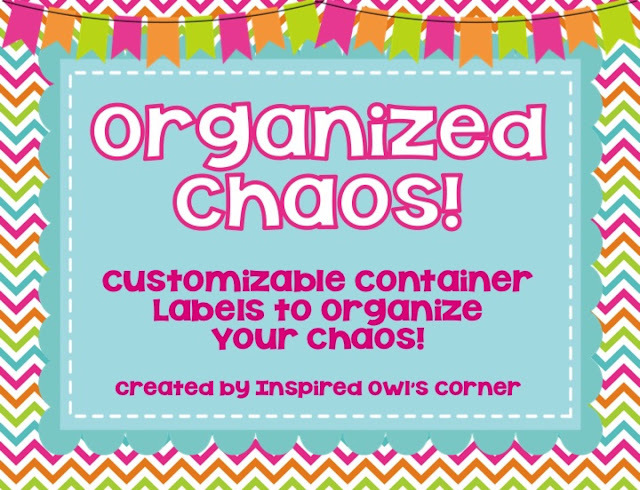 I use the pack above to label my Sterilite drawers and containers. They help to unify the decor in my classroom. 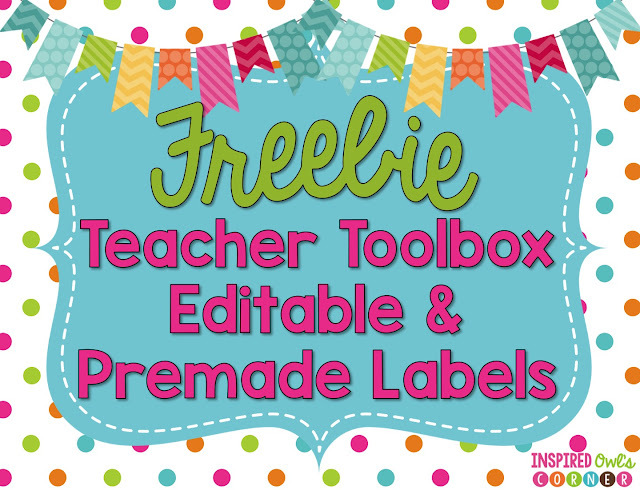 There are tons of freebies on TpT! 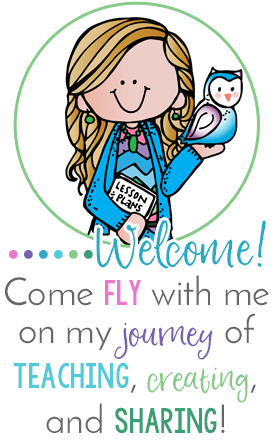 Be sure to follow your favorite sellers' blogs, Facebook Pages, and TpT stores to get their latest products and freebies! 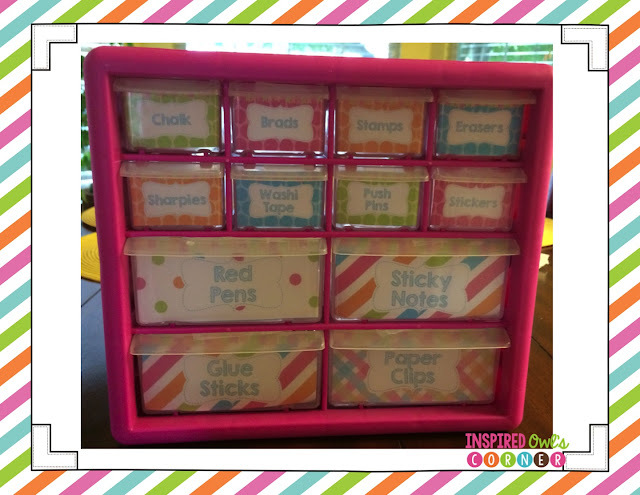 Pinterest is another great place to find freebies and ideas. Here's a freebie below to get you started! 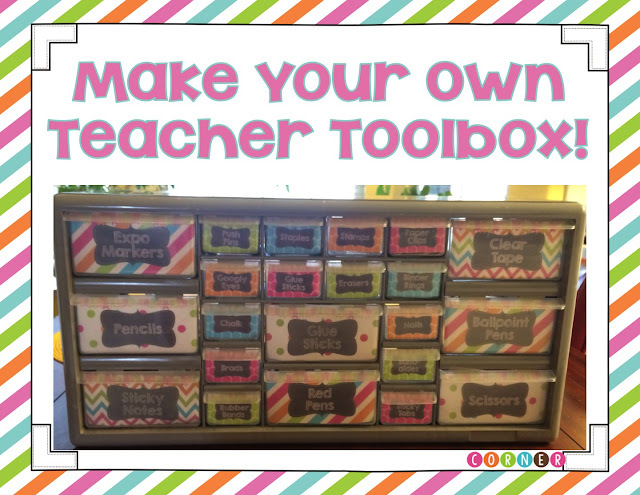 I've included two different styles to make the teacher toolboxes below. One has chalkboard backgrounds, and the other is white. 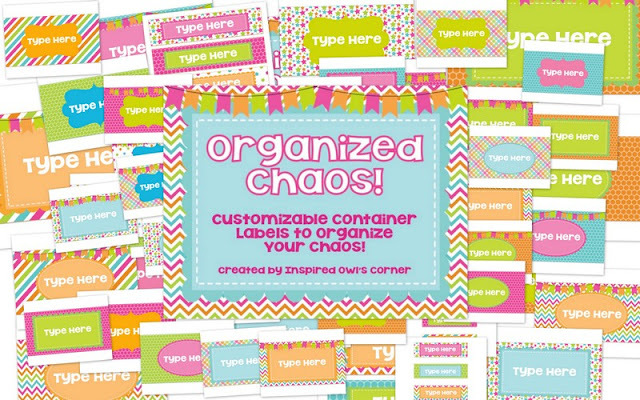 Each style comes in pre-made or editable pages, so you can design your own labels if you like. 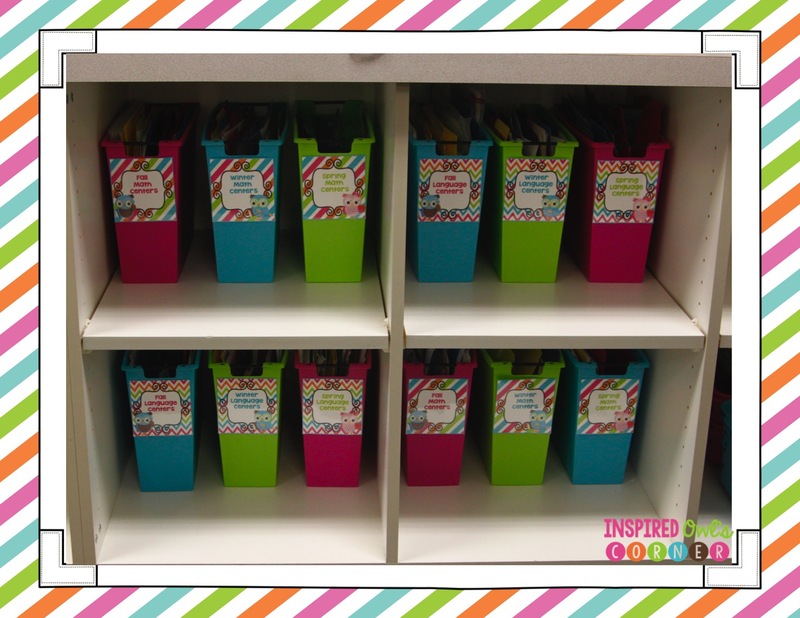 They are a perfect gift for a new teacher or colleague, or you can make one for yourself! These toolboxes are great for getting rid of clutter on top and inside your desk! 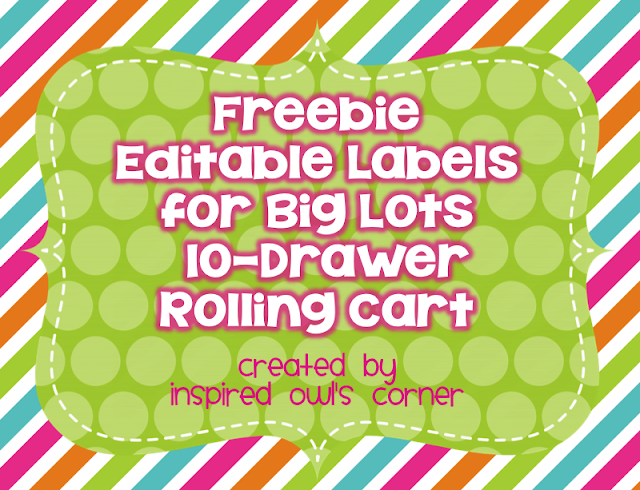 Here's a freebie below for the Big Lots 10-Drawer rolling cart. I'm sure these would fit inside the Michaels version of the cart as well. 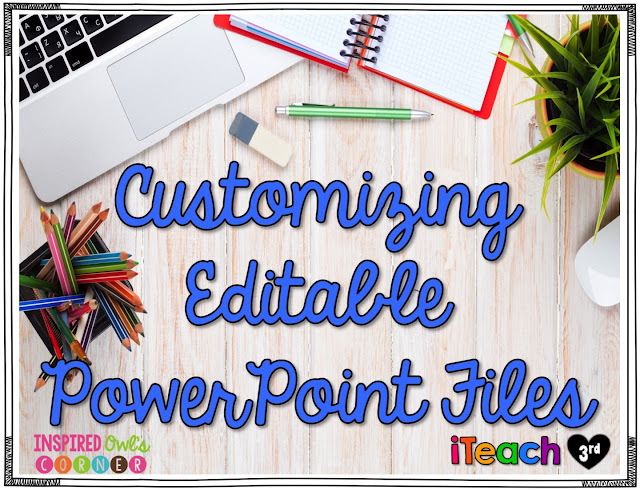 Do you need help making editable files look like the original designers? Click on the graphic above for a step-by-step tutorial! Have a fabulous year! Next month I will be beginning my 20th year of teaching, and I love it as much as I did when I first started. It's the best career and has become a hobby that I enjoy also. I am so thankful I became a teacher! Be sure to check out the other bloggers who linked up below! 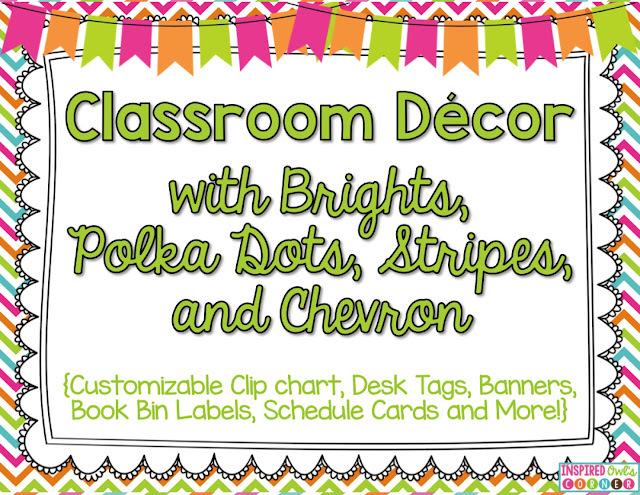 And be sure to head to Dirt Road Teachers' blog next Sunday to learn more! This series will be running for the next 5 weeks! 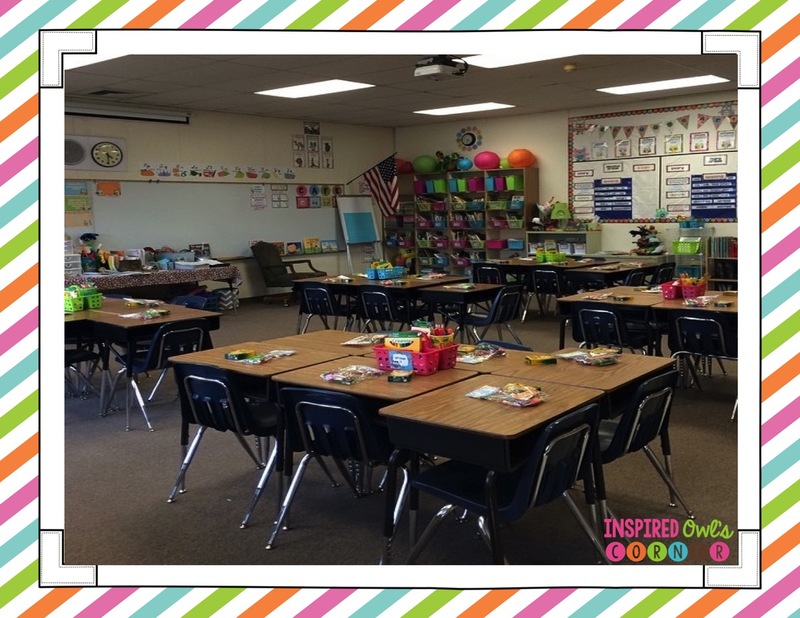 Your classroom is absolutely beautiful! I really enjoyed your blog post.